You see #Vladimir, we Americans have something called rights! Something your #KGB trained mind will never understand. Our Founding Fathers escaped totalitarianism hundreds of years ago and formed a more perfect union in a Constitution which causes millions of citizens from around the world to want to live here. I am quite sure Russia does not have this inflow of immigrants, and never has, and I am also sure you like it that way. Mr. Putin, we have something called the #FirstAmendment. That is the right to free speech without causing physical harm to others. We have a powerful union that controls who runs our country, and we can say what we want and even oust our leader from their Presidency if our Senatorial leaders choose to do so. Why? Because the power of the government in America is in the people's hand, and not in some crooked power mongering leader's hand, such as yourself. We don't allow one man to control our nation, and to govern our news, our business, and our citizens. In fact Vlad, right here in my hometown of Binghamton, NY we have a large influx of #Russian immigrants who have chosen to escape your bleeding communist nation for safer, and freer land. 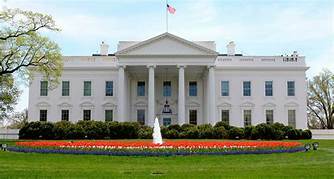 Before you go and start telling American's how we should treat our President in speech, you need to get a grip on your own insanity, and your failing policies. #DonaldJTrump is a disgrace to the history of our Presidency, and he has taken an honorable position and dragged it through the mud, putting a dark stain on our nation's highest political post, along with the other dark stains we have already endured through the past 400 years. His policies are degrading our society while causing America to slip back in history to troubled times, both socially and financially. He has now gotten a Republican lead Congress to upvote his budget that is going to steal from the poor and give to the rich! Russia's President Vladimir Putin speaks during a session of the Valdai Discussion Club in Sochi, Russia, on October 19. After attacking U.S. and Western policy in his speech, Putin took an opportunity to defend President Donald Trump from what he felt was unfair criticism in the U.S. The Americans you warn to not speak badly of our leader are going to start dying by the thousands due to lack of health coverage. Children are going to starve while the rich line their pockets with more money. Now, I'm not a liberal to the point that I don't think business owners deserve to earn a fair living and savings for their investment, but the one thing that is always forgotten in the argument is that these businesses and owners wouldn't earn a red cent if it weren't for their employees and consumers, which includes....their employees. So, yes, we should all be sharing in the wealth more favorably in America, instead of business owners packing every penny they can into their savings, and not sharing the benefits of their employee's hard work with them. That is the equation to a successful nation financially. Everyone gets their fair share. Also Mr. Putin, in America, we have a heart! "You Gotta Have Heart", as quoted from the famous musical "Damn Yankees". In America, we don't kowtow to a leader who shows no heart for the needy and poor in our nation. Most of whom actually do need the help and a handful that takes advantage of the system. Every system in America is taken advantage of some way or another, unfortunately, and I suppose that's the one downfall of #Capitalism, but for the poor to starve and die would be a detriment to America, and to our economy. Yes, we are giving free food and money to those in need, but that money is being spent on American businesses, and the food benefits are being spent in our country's grocery stores, again returning to the pockets of the wealth anyway. So, why do we need to help them keep more of their money? In America, we don't allow mean people like Donald J. Trump to keep doing what he is doing without our free expression to tell him who he really is! We don't go to jail for that Mr. Putin. So, please stay out of our politics, and keep to your own. 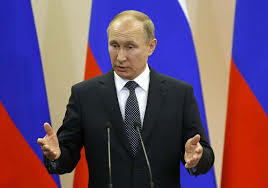 Hopefully, this will be your last reign as President of Russia, and we won't ever have to listen to your half-cocked ideas again.